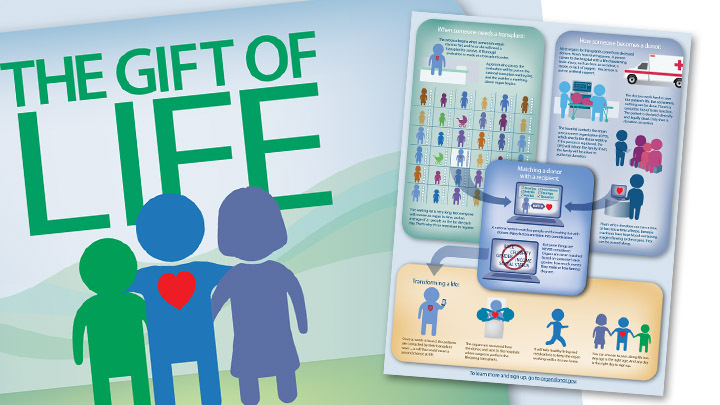 More than 120,000 men, women, and children across the U.S. are waiting for a life-saving organ transplant, and 22 people die every day because a matching organ can’t be found in time. 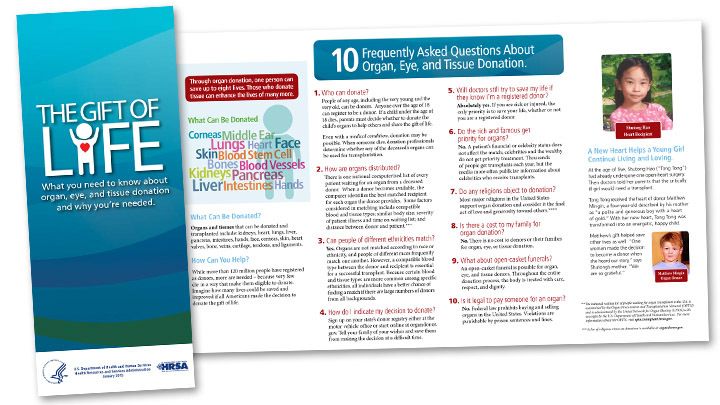 The Division of Transplantation (DoT), HRSA/HHS chose Crosby to help promote registration nationwide for organ, eye, and tissue donation. Research showed the vast majority of people in the U.S. support donation, but nearly half of eligible adults hadn’t signed up. Our job was to reach out to these “passive positives” and spread the message about the importance and ease of registering. 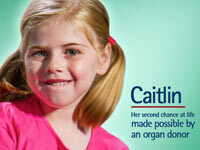 Just one donor can save up to 8 lives. Evaluations showed a positive story provides the greatest influence. 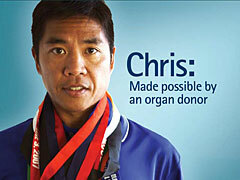 Crosby produced videos and PSAs of lives transformed by organ donation, which appeared everywhere from major networks to Facebook. Seeing just one positive message makes an individual more likely to say yes to donation. Print PSAs appeared everywhere from Reader’s Digest and Vanity Fair to the World Series and Super Bowl programs. 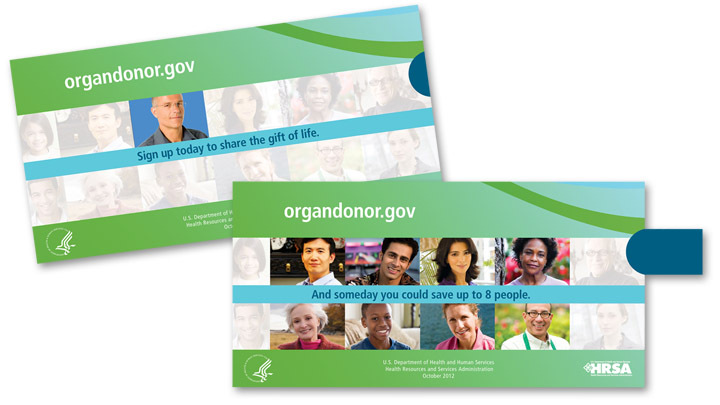 When we introduced organdonor.gov on Facebook, we discovered an enthusiastic community of donation advocates ready to share their passion and encourage signups. More than 50% of those on the waiting list are minorities, and we know that different ethnicities require their own cultural approaches. Special materials address the needs of African Americans, Asian Americans, and Hispanics/Latinos. Misconceptions and a lack of understanding can be an obstacle to people registering. We created a library of engaging, easily understandable and award-winning materials for multiple audiences that dispel myths and invite sign-ups. Animation helps make a tough subject easy to understand. Our award-winning animated videos became valuable tools for the general public and for donation professionals. Crosby arranged two radio media tours working with then-Assistant Secretary for Health at HHS, Dr. Howard Koh. 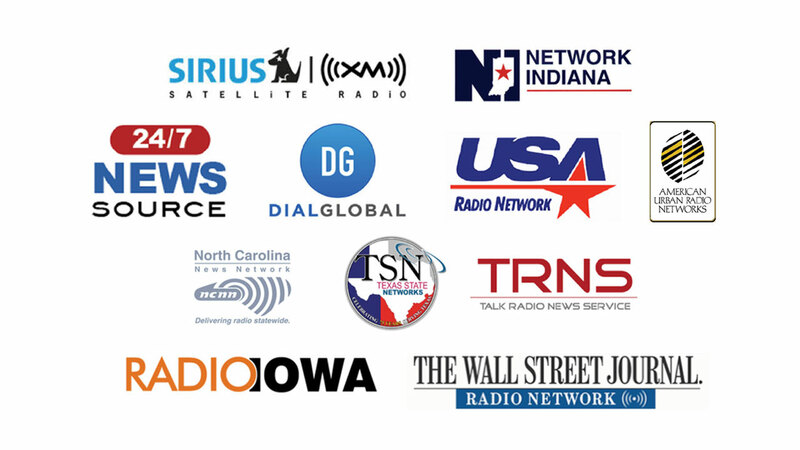 The radio media tours resulted in over 8,000 airings reaching more than 36 million listeners. Let’s make a difference together. GSA Schedule | © Copyright 2019 Crosby Marketing. All Rights Reserved.